Speed wont matter much here, it's all about seek and destroy. All players enter an enclosed arena and try to score as many kills as possible. Although it's not that simple, if you stay alive while going on a killing sphere, your kill will land more score than others. We also offer repair centre to help you stay longer and receive more pain. Enjoy destroying others to your heart content! 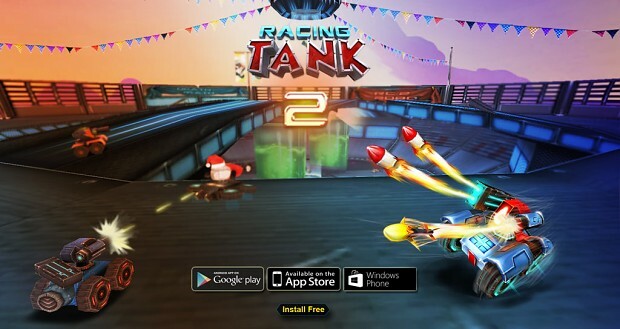 Racing Tank 2 has a considerable change in interface. 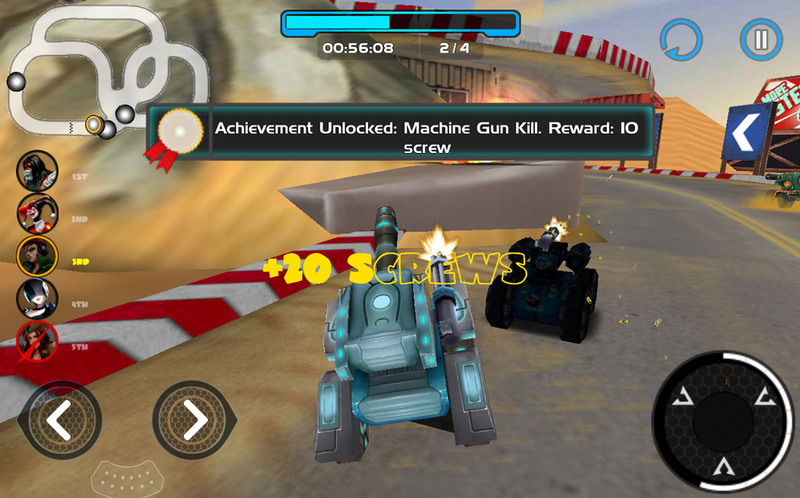 Menu Screen is designed more modernly and trendily with a big showroom displaying various types of tanks as well as robots. Also, “Start” and “Multiplay” button is set at the right side of the screen, which helps right-handers more convenient during selection. 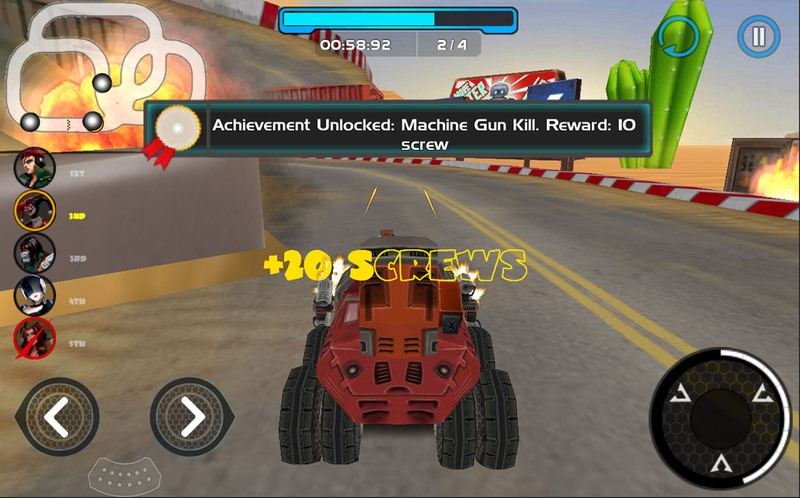 In addition, the in-game screen is no longer small but more user-friendly.Apart from the former features in the original version, Racing Tank 2 also provides a very new function named Achievement. 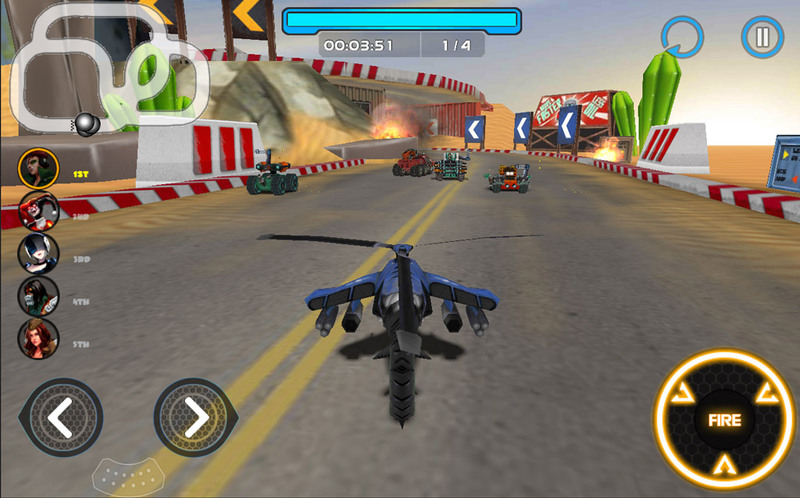 Players has to complete racing missions with a given target such as finishing the line in 90 seconds, ranking no.1 at least once time in every map. 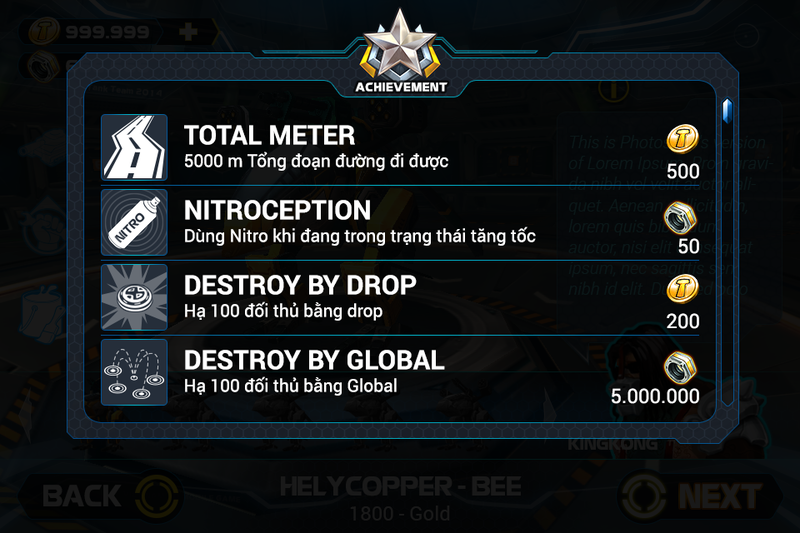 When an achievement is done, users will receive an amount of screws to unlock modern tanks, which are equipped upgraded weapons to wipe-out enemies in the higher levels. 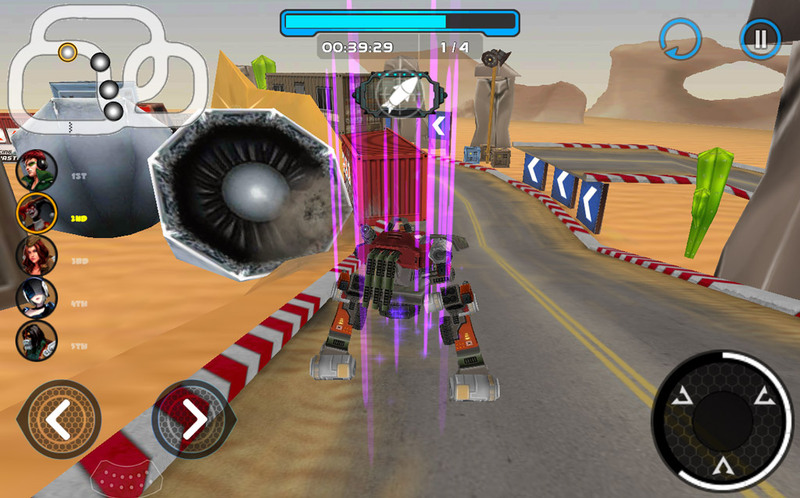 Racing Tanks 2 opens many tough maps, not to mention, rivals are also such annoying robots. Therefore, it’s essential to collect as many screws as possible by winning the race, completing achievements, etc in order to buy new tanks.